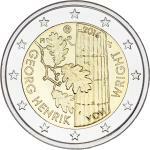 Today, Finland has released one million commemorative two-euro coins paying tribute to philosopher Georg Henrik von Wright. The year 2016 marks the 100th anniversary of the birth of von Wright. Mint of Finland will mint the special coins by order of the Ministry of Finance. Georg Henrik von Wright (1916–2003) was a liberal and diverse philosopher and scholar of society. In addition to holding a chair at the University of Helsinki, he succeeded Ludwig Wittgenstein as professor at the University of Cambridge. ”It is nice to hear that a special coin is being minted in honour of G.H. von Wright, since his influence can be seen, at least indirectly, in all Finnish philosophy after him. This can be seen as an official recognition of von Wright's legacy,” says Sami Pihlström, Chairman of the Philosophical Society of Finland. Von Wright was chairman of the society from 1962 to 1972. 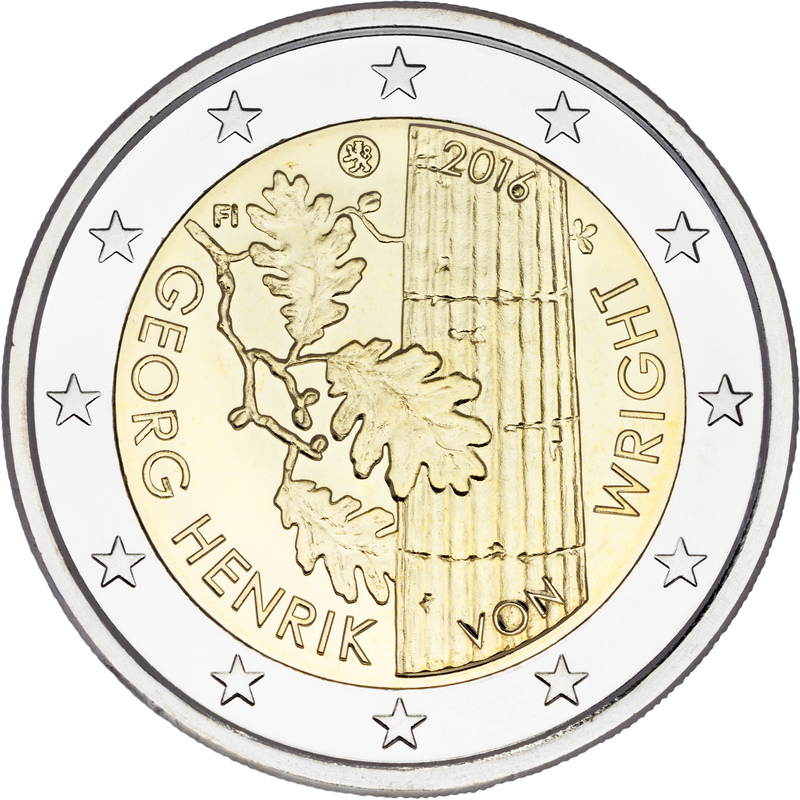 The obverse of the commemorative two-euro coin depicts a classical Doric column, reflecting the young von Wright's enthusiasm for classical antiquity, combined with an oak branch – a symbol of strength and wisdom. The coin's obverse is designed by Nora Tapper. 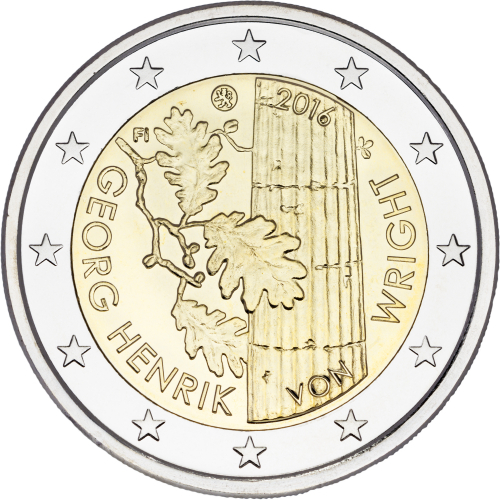 The commemorative coin paying tribute to von Wright is the second special two-euro coin released by Finland this year. A commemorative coin in honour of Eino Leino was released in April. “Each country using the euro as its currency is allowed to release two commemorative two-euro coins each year. They are legal tender in all euro countries. The reverse side of special euro coins is identical to normal circulation pieces, the themed image is on the national side,” says Vice President, Communications Henna Karjalainen of Mint of Finland. Many special two-euro coins are snatched up from circulation by collectors. The special coins are also available from retailers and the Mint of Finland online shop. Mint of Finland's website lists all commemorative two-euro coins released in Finland to date. Information on all special two-euro coins released in Europe is available on the website of the European Central Bank.